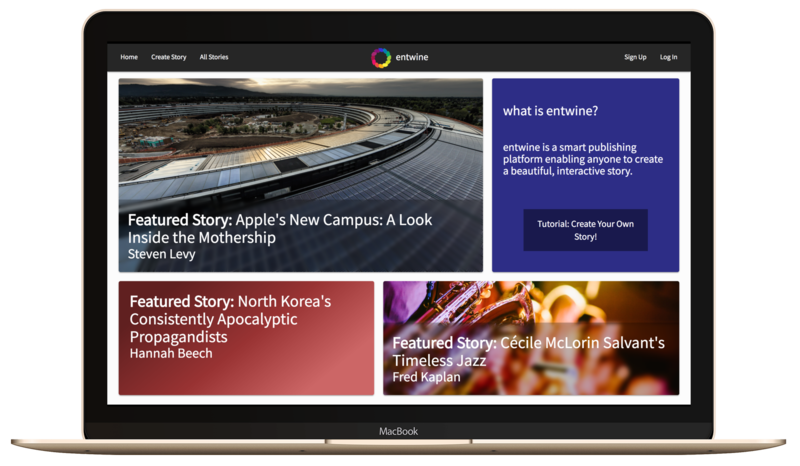 As part of a team of four for a capstone project at Fullstack Academy, I helped ideate and develop a content management system that allows users to create interactive stories. I was responsible for coding the dynamic geographic map generation and rich text editing features, as well as designing our home and 'all stories' pages. We're using heroku's free tier to host Entwine, so it might take a few seconds to spin up initially.